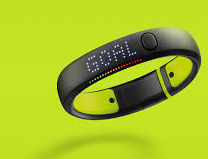 The Dash: Should Nike Kill The FuelBand? This morning TechCrunch reported that Nike was killing the FuelBand after 70+ layoffs on the FuelBand team. This afternoon, they unreported it, and instead said that Nike is planning to double down on the investment. But should Nike pull the plug? 1) The wearable technology market promises to be huge. IHS estimates that 180 million wearable tech units will ship per year by 2017. 2) But the space is already crowded, and getting more so. FitBit makes an exceptional (and exceptionally reliable) product that already comes in an array of colors. Samsung has a huge in-built base with Galaxy, as will Apple when they enter the fray. Not to mention established players like Garmin making specialty gear (such as swim watches). 3) Nike makes great shoes. Hardware, not so much. I was an early adopter of FuelBand and bought a first generation band at SXSW the year it launched. It broke within a year. My second one lasted about 7 months. My third one less than 4 months. I finally gave up and chucked it in a desk drawer, where it sits today. I've been a FitBit fanatic ever since. 4) Nike could focus on software. Tim Cook sits on the Nike board, so Nike could focus on making software for Apple devices. But there's already tons of free (or nearly free) fitness software too. MapMyRun, MapMyRide, and MapMyDogWalk to name just three offerings from one company (download them right now - they are excellent products). And explaining (or even really understanding) "Nike Fuel" has been almost impossible. Nike is incredibly inventive, and a push into wearable tech makes sense for a company devoted to fitness and the outdoors. But Nike isn't a tech company, and I'm not sure they can compete technically or for talent to make a better product than an established player like Apple, Google, Samsung, or even Garmin. I'll wager Nike considers an acquisition or strategic partnership in the not too distant future, and the layoffs on the existing Fuel team could signal that day isn't too far in the future.